Beirut - Lebanese President Michel Aoun urged world powers on Sunday to “make all efforts” for Syrian refugees to return home regardless of any political solution to the war there. Aoun told an Arab economic summit in Beirut that Lebanon would suggest solutions for safe refugee returns in the meeting’s final statement. The economic development summit kicked off in Lebanese capital Beirut on Sunday. Organised by the Arab League, the summit is attended by only three Arab leaders – from Lebanon, Qatar and Mauritania. Most Arab states are represented at the summit by delegations at the ambassadorial level. Syria, whose Arab League membership has been suspended since 2011, and Libya are not taking part in the meeting. Lebanon calls on the international community to make all efforts and provide suitable conditions for safe return of displaced Syrians. The last Arab economic summit was held in Riyadh in 2013. Since Syria’s conflict erupted in 2011, more than 1 million people have fled across the border to Lebanon, where aid agencies say most refugees live in extreme poverty. The United Nations says conditions are not yet in place for safe returns. 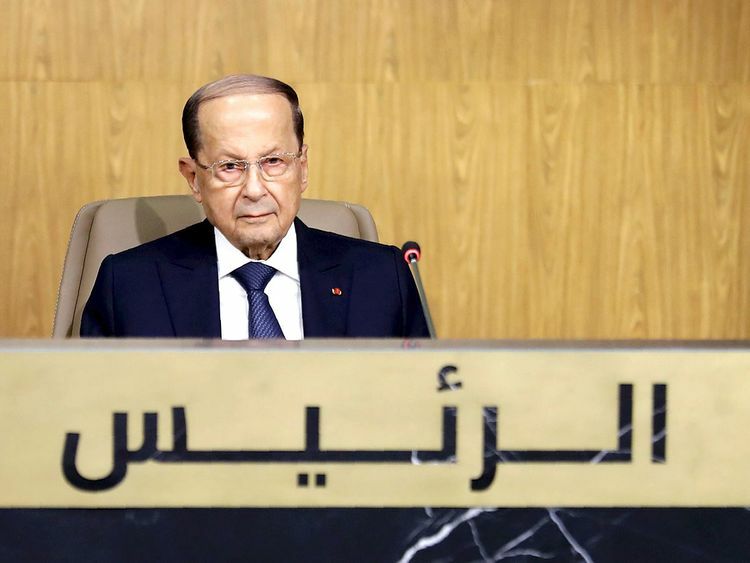 “Lebanon calls on the international community to make all efforts possible and provide suitable conditions for a safe return of displaced Syrians ... without linking that with reaching a political solution,” Aoun said. Lebanese politicians have stepped up calls for refugees to go home now that Syria’s President Bashar Al Assad has recovered control over most of the country with Russian and Iranian help. Lebanon’s Iran-backed Hezbollah movement, which fights alongside Al Assad, and its political allies including Aoun have urged rapprochement with Damascus. Other politicians oppose this, insisting the United Nations must oversee any repatriations. A key point of contention ahead of the summit has been whether to bring Syria back into the Arab League, more than seven years after its membership was suspended.